This episode we bring you two interviews. The first is an on-the-ground report from the days of anti-fascist action against Richard Spencer’s visit to Detroit and Lansing, with a plea for bail funds to help arrested anti-fascists. Next, we interview a West Virginian anarchist about what makes the teachers’ strike there so unique and important. 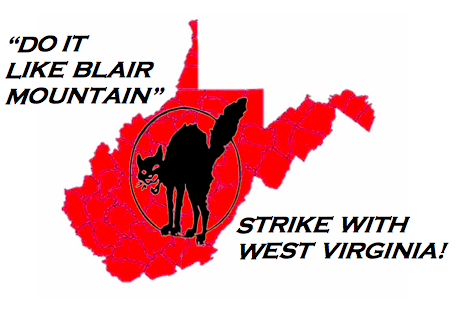 We plug a call from the West Virginia IWW for how to support and spread the strike. Throughout the episode we make the case for an international, revolutionary movement that can do away with all forms of hierarchy and kyriarchy! Go here if you’d like to join the L’eau Est La Vie anti-pipeline camp in Louisiana. Support and spread the West Virginia teachers’ strike! Check out this article from the West Virginia Industrial Workers of the World on how to support and spread the strike. Tidewater IWW are hosting an education workers’ assembly in Norfolk, VA on March 9 to explore the possibility of spreading the West Virginia teachers’ strike to Virginia. They’re encouraging other anticapitalists in Virginia to host similar assemblies. If you’re within driving distance, go to the strike and bring agitational materials like this, this, this, this, this, this, this, [this]https://crimethinc.com/posters/capitalism-is-a-pyramid-scheme), this, this, this, and these. 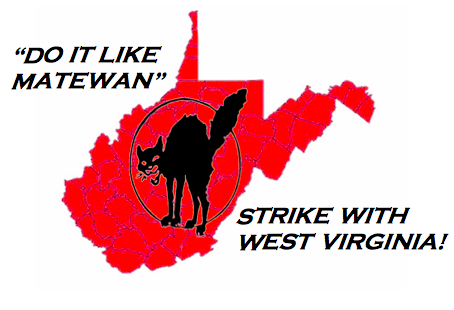 Donate to the West Virginia IWW solidarity fund for the teachers’ strike here. Donate to the official teacher’s strike fund here. Anti-fascists arrested for confronting the alt-right in Michigan are STILL IN JAIL as we go to press. Please donate to help get them out of jail and to support their upcoming legal battles. March 13: Carbondale, IL – 7:00 PM at The Flyover, 214 North Washington.